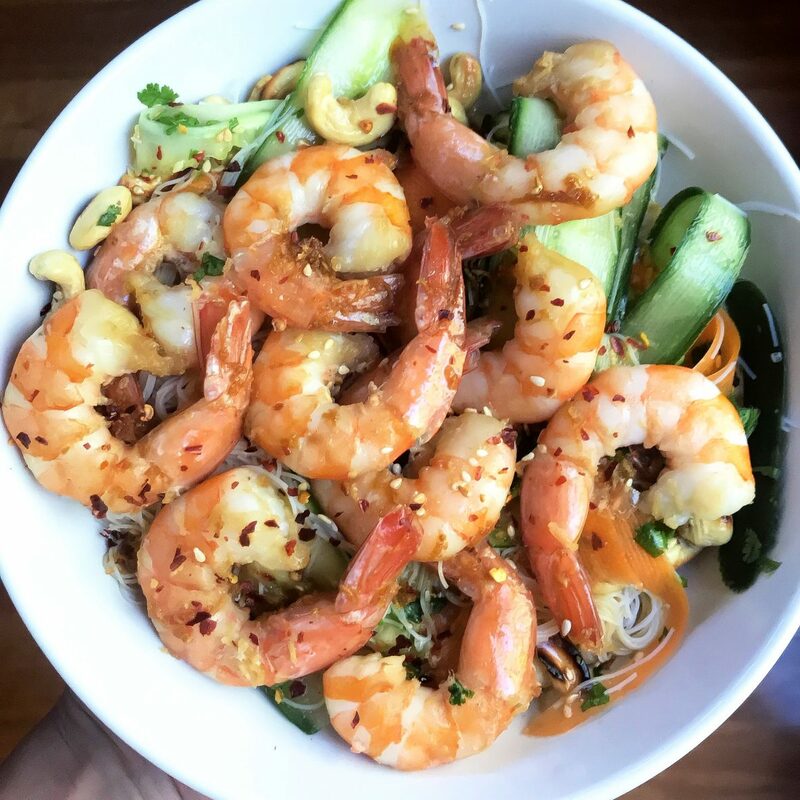 Not to toot my own horn but this was whipped up on a whim when I just wanted something fresh and light after over-eating for the weekend 🎉 This ticked all the boxes and more- it would easily serve 4, as I had leftovers for a couple of lunches! There is something so satisfying when a meal is punching with flavour, light and easy to digest but makes you feel full and satiated! Make marinade and pour over prawns. Allow to sit for 10mins or longer if possible. Boil kettle and pour hot water over the noodles let them soak for a few minutes before draining. Prepare carrots, cucumber, chilli in a large bowl. Add noodles splash of white wine vinegar, lime juice and sesame oil. Toss and Set aside. Cook prawns on medium heat 1-3 mins each side. Add to vermincilli salad and serve immediately. Works perfectly for left overs for lunch!! Want to make your life easier, with a personalized meal, made specifically to YOU! Your Lifestyle! Your goals? Join me for my 8 week personalized Coaching Program! Book your FREE Discovery Call to see how I can take the stress out of HEALTHY! Click Here to Book your FREE Discovery Call!